Aptos Community News provides a monthly Aptos Real Estate Market Update, provided by Real Estate Broker and noted Realtor Sebastian "Seb" Frey. These monthly reports always include a video component, and feature a full set of Aptos real estate sales data for both single family homes and condominiums and townhouses. In addition, we routinely publish articles about real estate developments and topics of interest to both current and prospective Aptos real estate owners. There is no better place on the Internet to find timely, insightful information and opinion on Aptos real estate than AptosCommunityNews.org! A Community Housing Meeting at Temple Beth-El in Aptos is to be held on Thursday, March 12, and two other locations in the coming weeks. 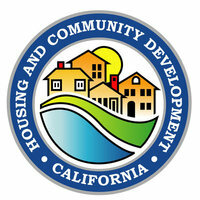 The Santa Cruz County Housing Advisory Commission is holding community discussions about updates to the Santa Cruz County Housing Element, as required every several years by California law. The reason for these meetings is to talk about programs and policies that could address issues that affect the cost, type, location, and availability of housing to serve the variety of needs of the people of Santa Cruz County. 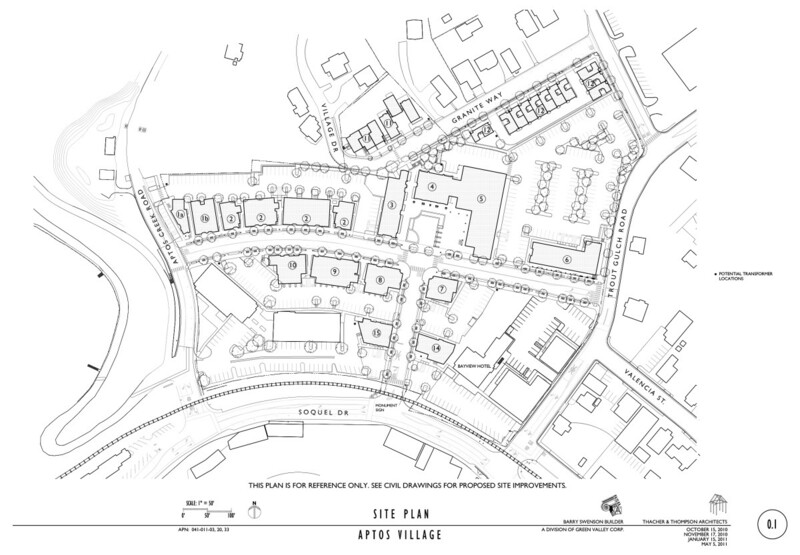 Many Aptos residents are concerned with housing development, especially affordable housing throughout our community and in particular projects such as the Aptos Village redevelopment. Anyone in the community who shares these concerns is encouraged to come and give input at these very important meetings which will shape our community for years to come. The Santa Cruz Sentinel is reporting that the Aptos Village Redevelopment continues to move forward. The first concrete sign of progress came last week, when the famous Aptos Post Office Bike Jumps were flattened, marking an end to the area’s premiere mountain bike jumping grounds, a bittersweet day in the history of Aptos. Barry Swenson Builder should submit their permit application to the Santa Cruz County planning department in April. The first phase of construction should begin in late summer or fall, with the first phase of construction (some buildings, and all the infrastructure) should be completed in fall of 2016. The total construction time should will require 30 months at least, and may be delayed if the economy sours. At a public hearing today, the Santa Cruz County Board of Supervisors voted to adopt new Aptos vacation rental restrictions. These new restrictions were proposed last December but modified with some community input. The members of the community in attendance at the meeting today largely spoke in favor of the restrictions, and the vote of the supervisors was unanimous. 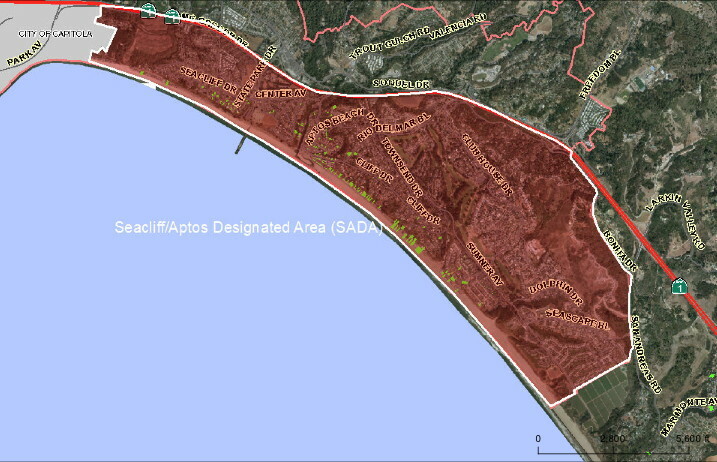 The “Sea Cliff/Aptos Designated Area” means that portion of the Aptos Planning Area bounded on the west by the Capitola city limit. on the north by Highway One, and on the east and southeast by Bonita Drive, San Andreas Road, and the Urban Services Line from San Andreas Road to Monterey Bay. gaining access from Rio Del Mar Boulevard between its intersection with Aptos Beach Drive and Beach Drive to its intersection with Kingsburv Drive. Cliff Drive, and Beach Villa Lane; Beach Drive; and Via Gaviota. In addition, it is now prohibited for a home that has an adjoining wall with another home to be used as a vacation rental, unless written permission is first given from the adjoining property owner(s). Previously, vacation rental permits did not expire so long as the property was operated as a vacation rental for three out of five years. In LODA and now SADA, owners will need to renew their permits every five years. Vacation rental restrictions apply only to whole-house vacation rentals. If owners are renting rooms or a “guest house” via services like VRBO.com or AirBNB.com, and the owner lives on site, no vacation rental permit is required for that. The ordinance will now be submitted to the California Coastal Commission for approval at their mid-February 2015 meeting. It is anticipated that the Coastal Commission will give approval in time for the Summer 2015 season. The entire ordinance and supporting documentation is available for download here on AptosCommunityNews.org. The file has been passed through a process to make the text searchable and copiable. Just click here to download it. Santa Cruz County is holding a public Legalization Assistance Permit Program meeting on November 17 at the Episcopal Church of St. John the Baptist in Seacliff. The meeting will be held from 7:00 PM until 9:00 PM in the church’s cafe facility. The Legalization Assistance Permit Program (LAPP) is designed to help property owners with unpermitted improvements (i.e. bedroom or bathroom additions, accessory units) bring them into legal compliance. The program will apply to single family and multiple-family dwellings, commercial, industrial and agricultural structures which were altered, remodeled or constructed without required permits. The LAPP program began on August 24, 2014 and will run only for a two-year period. Property owners who come forward to legalize unpermitted construction during this time will not be charged the “recover enforcement costs” fee but will have to pay regular permit fees, development impact fees, and possibly back taxes as well, and all improvements must comply with building, zoning, and environmental standards. The full LAPP program guidelines can be read here.